He is a member of the post-Sharpeville generation of activist artists who, together with his close friend Dumile Feni, wrestled with the challenges that black artists and academics faced in a period of intensive repression during apartheid. Badsha rediscovered many of the works for the Seedtime exhibition, including a collection by Dumile Feni, in his father’s tiny flat after his death in 2003. I am humbled as I sit down to talk with a man whose work exudes our recent history. I am worried because he is sharp. Has a critical eye for detail. I toy with comparing him with artistic greats but I dump the idea. He is iconic. Individualistic. Stands alone. I leave his Woodstock apartment on a sunny winter afternoon with a tank full of knowledge. He has shared with me his new narrative for photography and has given me a glimpse into the frivolous activities of freedom fighters when they were not opposing apartheid. But I am getting ahead of myself. nyathi ibuzwa kwabaphambili! This Xhosa proverbs that means wisdom and knowledge is learnt from the elders, comes to mind as we speak. 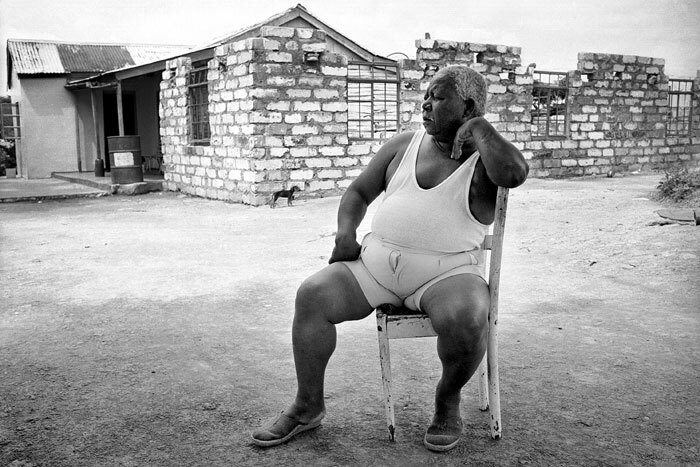 Omar Badsha, is a goldmine of an elder. I begin with questions about exploring the world that he has probably been asked countless times in his career of half a century. “People have asked me these questions a lot. I have told them that if you think about it, it’s not much travelling because as a photographer you’re always looking and taking pictures. “There is no formula. You take things as they come and at the same time you bring to bear your way of thinking, which is very much informed by a lot of reading about people and society. You are constantly learning and when you are in a situation it comes to the fore and it helps you shape that moment and how you take the picture”. 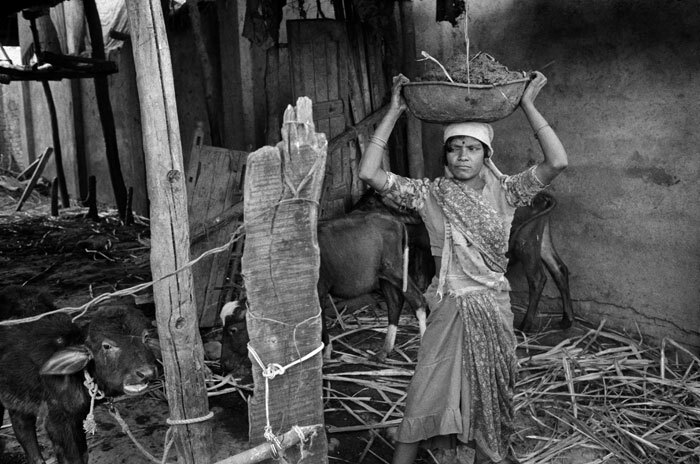 So if his photographs have shaped lives, inspired a revolution, how has he been changed by his own work. “Like everyone, a photographer, first has to be open to be able to listen and take on board people’s views and criticisms. When people go to exhibitions they look at pictures and they find things that attract them or things that they want to know more about the event. All of these things help me understand how people are receiving the photographs. He is patient and while gathering his thoughts he also looks at my note taking, ensuring that he leaves enough space for me to scribble and maybe even ponder his words. But after a while we slip into an easy conversation, the Meqoqo I’ve been aiming for. I tell him the photo that stood out for me, featured in Seedtime is the one of Induna Nkonyane taken in 1983. The Induna is a plump man sitting on a chair, looking very tired and in deep thought. The photo triggers a hint of déjàvu for me. The scenario is so familiar I can almost see similar characters I’ve encountered, sitting in front of their houses looking tired after traditional ceremonies. “He is a man of authority. You can just see his character. Even if I did not use the word Induna. On that particular day, which was very hot, he had a number of people who had come to his house with issues that they wanted to raise and have him listen to and I was also there. “If you look carefully at his house behind him, you can see that it has been added on… from a small house. It has got new additions to it. You can see that he is becoming a little bit more wealthy,” he says. Then another pause. I write. As I look up he says something that makes me feel a bit embarrassed. “And then when you look on the side, you see a dog,” he says looking at me. “You didn’t see the dog?” he asks with surprise and then lets out a mischievous giggle. “It’s the dog that captured my attention. Here you see this small puppy sitting alongside this big man on a yard with no greenery. No flowers. Doesn’t take pride in his garden or his yard. You see, you looked at the picture and you missed the puppy,” he says with an air of triumph. “No,” Omar replies, “It tells me that you were attracted more by him. He caught your attention and then you moved on. You didn’t interpret the picture the way that I did”. He tells me I need to be educated in ‘visual interpretation’. We laugh. 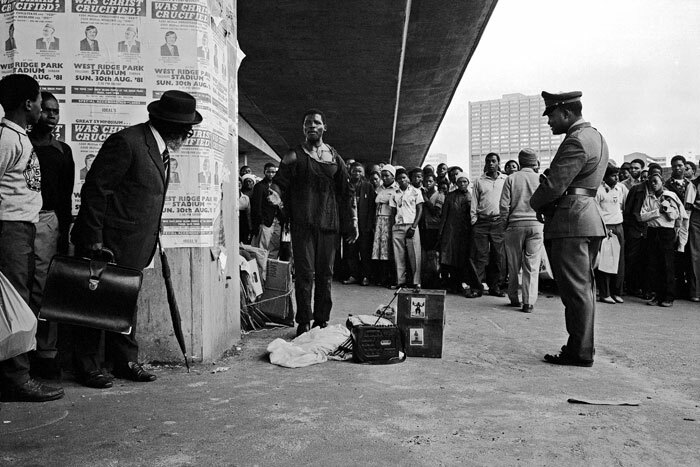 Then the conversation steers towards a direction that puts Omar Badsha on even firmer ground: A new language of representation for the 21st Century South Africa. 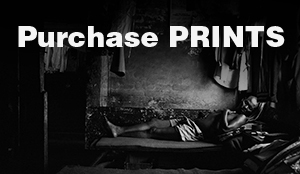 He believes firmly that photography is not just an art but that it also plays a vital role in representation of society. He describes this as a new narrative that challenges old categories of classification. “When you approach anything in this country you have to take into account a number of huge issues. Race, gender, poverty or inequality. So when you look at race and how people are represented… because in many ways, in every way, we come from a past when a poor and black person was represented largely by white photographers, artists and academics. They had a particular way of looking at society and people and representing them. “So part of the struggle in the past, and even now, is to look at people in a way, or a situation in a way, that takes into account these factors like race, like inequality and to present people not just as victims or people with no agency. Badsha pauses and one of his hands – he uses these as an extension of his words – are now pointing at my torn jeans. We laugh some more. Then the mood switches again to the more serious matters. “Or that they are little children with snotty noses. That’s how you are represented, or as people in a… happy native, contented native, natives close to nature. One needs to be able to create a narrative that shifts that and so you create a new language in the process. A new set of images that challenge those old standard tropes. Whether one succeeds or not, that’s another question. Badsha’s career spans well over five decades, “and my entire life,” he says. He has won a couple of prestigious awards such as the Sir Basil Schonland Award in 1965, a scholarship to travel to India and a citation for contribution to resistance media, to name a few. With all that under his belt, Badsha feels that he has not left too many stones unturned. If he had to do it all again, he’d still choose photography. “You never set out to win accolades. You set out to win a story, that’s the most important thing. If somebody likes your work, buys your work and gives you a prize for the work, that’s secondary. Look, it’s nice but that is still all secondary. All you’re continuously concerned about is doing the next project, the next picture you’re going to take because what you’re doing essentially is self-expression. “I have never really fantasised about another career but I would have loved to work more, travel more or had the advantage of going to an art school or a photography school. Looking back, I would have liked to be more reflective and not as impulsive and I’d pay more attention to my craft. His mention of the past stirs my curiosity. What did the Struggle Generations do when they were not plotting to overthrow the apartheid government? It is in that moment when I feel he has helped me to visit that past with a clearer understanding. I leave Woodstock looking forward to the next time I lay eyes on that Induna picture or any his work for that matter. I feel I’ve made strides toward my ‘visual interpretation’ education. I look forward to being a part of that revolution that will bring us new narratives of photography and indeed of ourselves. New ways of seeing myself in the story of my country. And along the way I even got to understand that life during the apartheid era was not all doom and gloom. 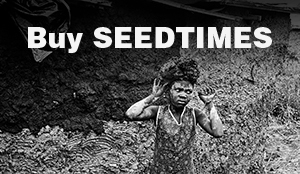 Seedtime is currently on show at the Iziko South African National Gallery in Cape Town until August 2.